Adidas Running has launched a brand-new silhouette created especially for the urban city runner, dubbed the Adidas PureBoost Go. Designed for easier changes in direction, the highly adaptive silhouette offers a running experience that’s both thrilling and accessible for all. To inspire city runners and give back to A$AP Ferg’s Harlem community, Adidas will be refurbishing the running track at Thomas Jefferson Park, which will be finished later this summer. 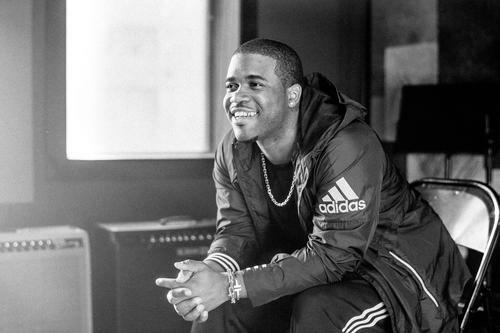 To kick off this initiative A$AP Ferg and Adidas have partnered to drop an exclusive music track titled “BRAG” which will go live on adidas.com on July 24th. The brand new Expanded Landing Zone, a wider forefoot platform for increased stability in lateral movements, gives street runners ultimate adaptability, so they can change direction with ease and speed. The PureBoost Go also features a Boost midsole, Adidas’ industry-defining technology that offers runners endless energy return. For a more comfortable fit and a better running experience, a deconstructed circular knit upper, crafted from a breathable fabric, improves flexibility and freedom of movement with each step. The Adidas PureBoost Go is now available for men and women in the US for $120 adidas.com, Adidas stores and select retailers including Finish Line, Champs, Eastbay and Nordstrom. The shoe will be available globally in additional colorways beginning August 22.